The Cando® Donut Ball are uniquely shaped, latex-free and bouncetastic! It offers a unique balance challenge. 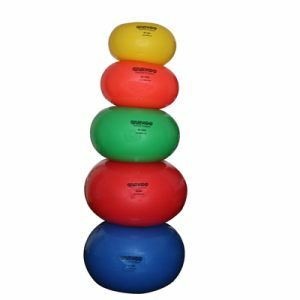 The rounded shape provides benefits of a balance ball including core strength and balance improvement. The Donut Ball provides some of the same benefits as regular exercise balls but offers more stability. Also can be used as a dynamic prop for mat exercises. These donut balls can support up to 300 pounds. Inflates easily with a ball pump (sold separately). Use this Donut training ball as a safe and exciting way to improve overall fitness. It stays round during use. Comes in 5 sizes from 45cm to 85cm. The balls are color coded by size. 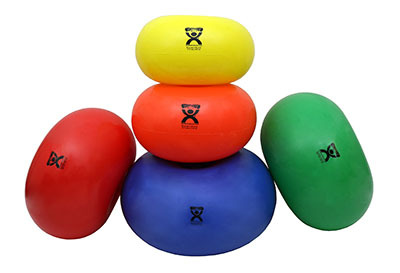 These CanDo Donut Fitness Balls are a guaranteed kid pleaser for sensory play and sitting. Also good for seniors or those who may need added stability for ball exercising. 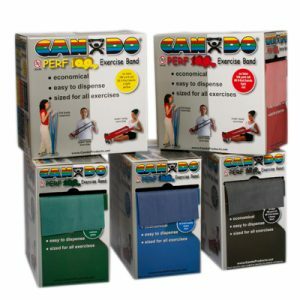 Cando Fitness Balls are used to improve balance, coordination, flexibility, strength or simply just for fun. 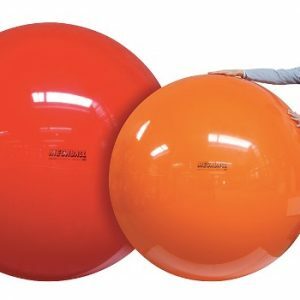 Balls are used by pediatric and NDT therapists as an aid for vestibular movement and equilibrium therapy, by fitness professionals as an aid for stretching and strength programs, often by pregnant women in birthing classes and people with back problems. Ball supports up to 300 lbs.